We were delighted when we found out Stacie & Chris had decided to book us to document their big day over in the South of France. Click below to see some more pictures. A day filled with vintage cars, stunning sunsets and even better company! We had the pleasure of filming Charlotte & Sam’s big day and creating a highlight film. Rachel and Charlie’s wedding was set in the beautiful Westminster College in Cambridge, winding a great day down with a traditional Ceilidh. We’ve shot enough weddings to know that no two weddings are the same. We offer bespoke packages to suit your wishes. Click the button below to request a pricing brochure. 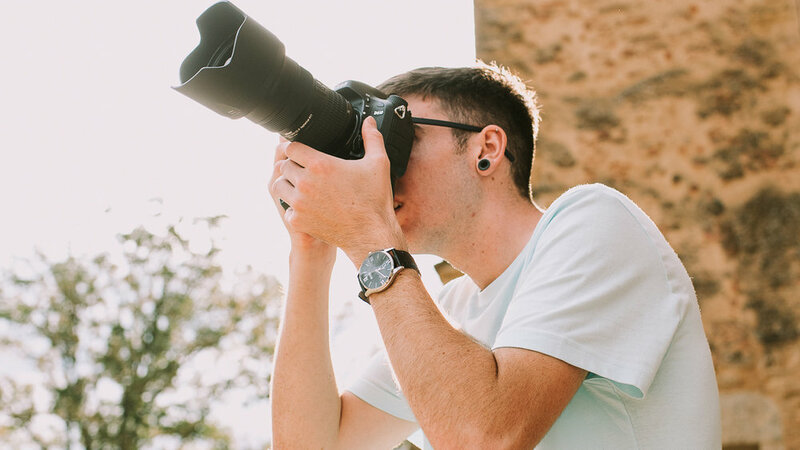 The Media Guys is a small team of two creatives, who’s paths joined when studying Editorial and Advertising photography at the University Of Gloucestershire. When they were given the opportunity to photograph their first wedding they found that their styles complimented each other and have been working together ever since. Here at the Media Guys, we believe the best photos are the ones that come natural! We pride ourselves on our fly on the wall, documentary style of shooting. However we will get them nice shots posed shots that your parents will want on the mantelpiece. Want to get more of a feel for our style? Simply check out our recent work or head over to the gallery! Drop us an email to discuss your wedding package and secure your date.